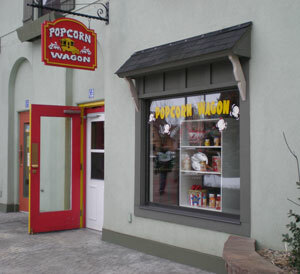 Popcorn Wagon Frankenmuth has been serving up delicious Gourmet Popcorn and popcorn supplies since 2001. We are not a popcorn factory, but a family owned business that makes all our popcorn in small batches (5 gallons at a time) every week to ensure the highest quality. With over 45 flavors of Gourmet Popcorn, you're sure to find a flavor for everyone. Popcorn makes a great treat for weddings, graduations, birthdays, or any gathering! View our planning page and use our online calculator to help plan your next popcorn bar! With Gift Boxes and Tins, you're sure to find a great gift for anyone on your list. We carry supplies for you to make delicious popcorn at home. From kernels to seasonings, we have what you need. Ordering was very easy. Everything is very well organized. We love this popcorn! I order every Christmas as gifts and load up every visit to the store!